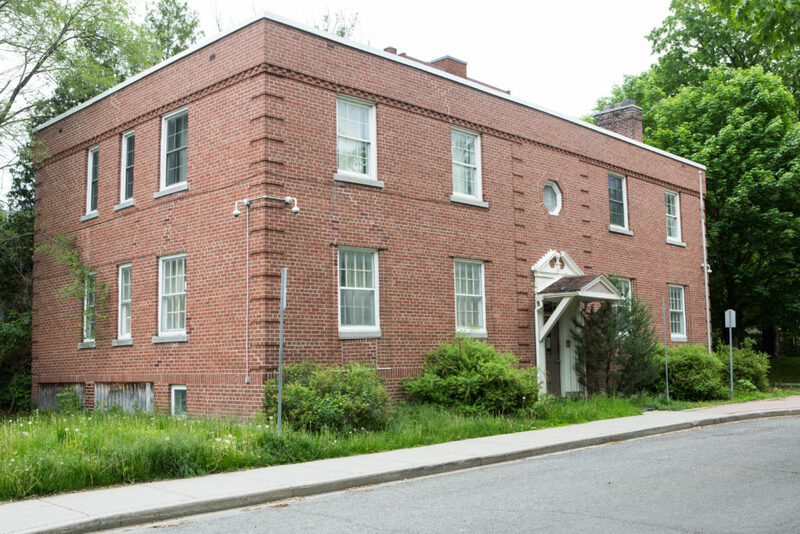 In February, the Built Heritage Sub-committee of City Council denied a request from the Uganda High Commission to tear down its empty mission at 231 Cobourg St. The subcommittee had two main concerns: it appeared that the building had deteriorated because of poor maintenance and the members of the sub-committee did not want to endorse “demolition by neglect.” Second, the building was historically important: Lester B. Pearson had won the Nobel Peace Prize and become leader of the Liberal Party when he lived there. But because the house has structural damage, the subcommittee asked City staff to commission an independent engineer to determine whether the building could be saved and, if not, whether parts of it could be salvaged and incorporated into a new building. The subcommittee met again on April 12. It heard from the independent engineer who reported that there was indeed structural damage, that it could be repaired but that it would be costly. It also saw a re-design of the proposed new building which, while different from the initial proposal, did not retain any of the features of the existing building, except for a small octagonal window. The subcommittee was not amused and voted 5 to 2 against demolition. It was supported in its decision by submissions from Action Sandy Hill, Heritage Ottawa and Councillor Mathieu Fleury. However, this is not the end of the story.. At the time of writing, the matter was to go to the City’s Planning Committee on April 24 and thence to full Council for a final decision. The Uganda High Commission has already warned that it will seek legal recourse if it is not allowed to demolish its building and put up a new one. This is a serious issue. It appears that the house’s foundation cracked when dry summers and the removal of a tree caused the underlying clay to desiccate and shift. The fact that the house stood empty and was barely heated for four years after the Uganda High Commission moved out led to further damage, including flooding from burst water pipes. This, unfortunately, is not the only foreign mission in Sandy Hill which is at risk. A house at 38 Blackburn that served another country (Niger) has stood empty for many months and its electricity supply appears to have recently been cut. Sandy Hill’s built and historic heritage is unique in Ottawa. No other neighbourhood can boast of having been the home of so many prime ministers, Fathers of Confederation, leading businessmen, writers and other prominent residents. Many of their houses still stand, giving Sandy Hill much of its cachet. Several foreign governments use these houses as diplomatic offices or residences. It was once thought that this adaptive re-use would help preserve our built heritage. The experience of 231 Cobourg shows that this assumption is not always correct.